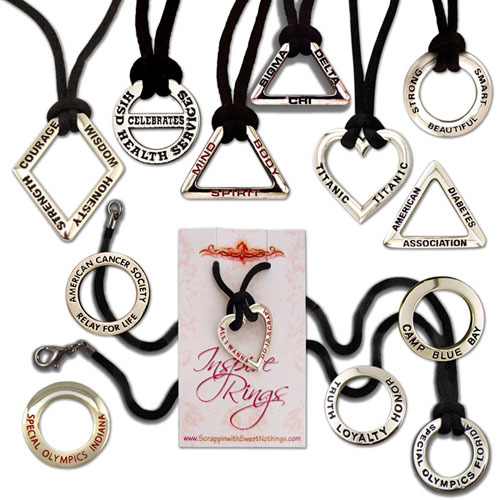 InspireRings - Necklaces with timeless style and an InspireRing message! * Nickel plated pendant with custom color filled imprints on both sides. * Customize your necklace with text, enamel color fill or create a unique shape to emphasize you logo or message. * Includes 17" black nylon cord with silver lobster claw clasp. * Standard packaging - Full color printed card in poly bag. Custom cards available.